Despite what many think, doctors arent getting paid enough. At least thats what doctors say. 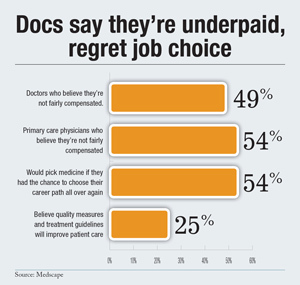 Despite what many think, doctors aren’t getting paid enough. At least that’s what doctors say.